Eager to improve your German? We are happy to welcome you in our wonderful city of Vienna in late Spring – the perfect time for a visit. If you take the short course in German, specifically designed for polyglots, at our language school, you can expect a lot more than conventional classroom teaching. We have put together the awesome and intensive short course “Learn German while discovering Vienna!” for you. 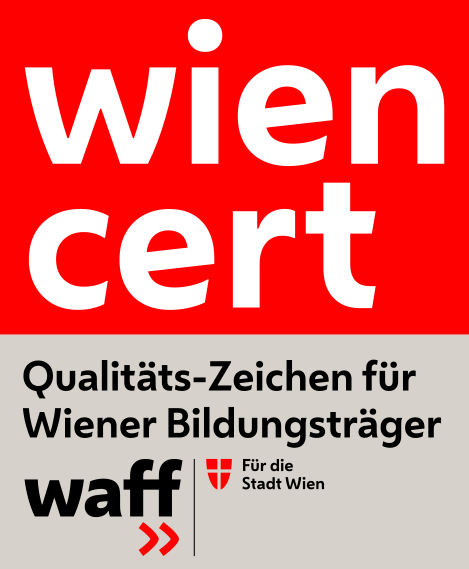 Most lessons take place outside the school, and you will learn intensively through a variety of activities in Vienna. We offer a shorter (Monday – Wednesday, 27 – 29 May 2019) and longer (Sunday – Wednesday, 26 – 29 May 2019) version of the course. The course times are indicated in teaching units (TU) of 45 minutes. Requirements: Minimum A1 level in German. Levels will be split up based on the activity and number of students. First 20 firm registrations (with payment) receive a free Deutschothek goody-bag! Further workshops and small group/private lessons can be booked additionally on the spot. Important: In the very unlikely case that we receive fewer than 5 firm registrations (with payment) by 30 April 2019, we reserve the right to cancel the course and provide a full refund. 15:30 – 17:00 (2 TU): Interactive Vienna city tour in German – Discover Vienna, learn new words and use them in the quiz! 18:30 – 20:45 (3 TU): Grammar boot camp at Deutschothek – Challenge your brain and learn the “whole” of German grammar (the most important elements of grammar at A1 – B2 levels) in a highly intensive session. We guarantee you will be mentally exhausted by the end! 10:00 – 12:15 (3 TU): Conversation class at hot spots in the city with authentic learning material – Improve your speaking skills. 14:00 – 16:15 (3 TU): The “real life” language challenge – Head into town and leave the comfort zone of using your German only in class, with your online teacher, tandem partner or other polyglots! In this session you will have to complete tasks in the city of Vienna in “real life” situations. Not the right case ending but it’s the content that counts!